​​​​​​​ ​​​Does innovation lead to success or success lead to innovation? Australia's mid-market firms – those with revenues of between $10 million and $250 million a year – punch above their weight. According to GE Capital's annual surveys, the mid-market sector comprises just 1.4% of Australian businesses by number but generates more than $425 billion annually to the economy and provides one in four full-time jobs. Some 37% of all business revenue is contributed by the mid-market. But the sector doesn't enjoy the advantages of big businesses, such as deep pockets and well-established market positions. 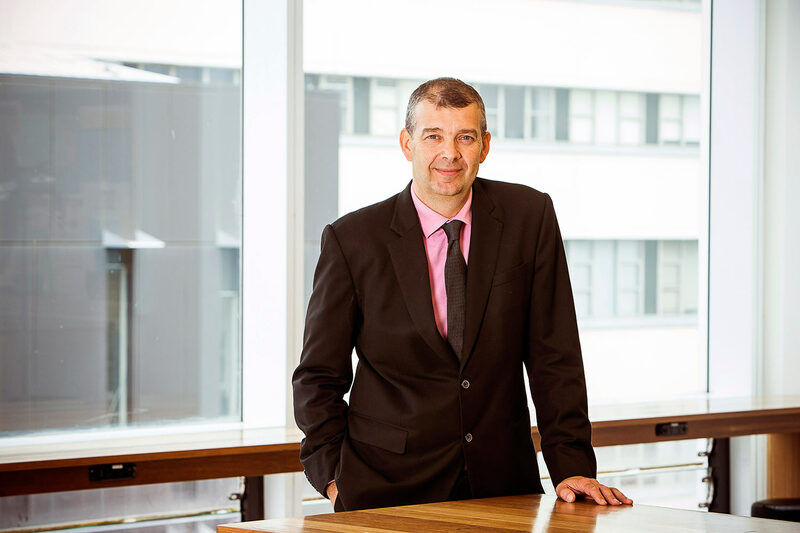 The report, which looks at how mid-market firms approach innovation and how they could do it better, is the first phase of a three-year research project by academics at UNSW Business School. Co-author Chris Jackson, a professor of business psychology at UNSW Business School, says innovation is by necessity crucial to the success of mid-market firms. "They have to be agile to stay ahead of the competition. Bigger firms are able to pay more, they're able to do more, they have a greater range of skills. Therefore, if a mid-market firm isn't innovative, it can easily be overtaken," he says. On the flipside, their smaller size allows for more flexibility. "The advantage of being a smaller firm compared with a big firm is that you are a lot more nimble. You have greater opportunity to take advantage of situations as they arise and there's greater opportunity to make faster changes than the larger firm," Jackson says. The study examined the role mid-market leaders play in driving innovation. These bosses have the potential to be a bottleneck because they have so much to do. Unlike their counterparts in larger businesses, mid-market leaders do the "heavy lifting" on innovation themselves. They generate ideas, develop vision, drive the implementation of the innovation, and communicate their strategy. They also listen to staff, search for ideas, and create a culture of innovation, the report says. Jackson reiterates that mid-market leaders have to undertake multiple roles when driving innovation within their firm. "Part of what they need to do to encourage innovation in the workforce is to encourage workers to participate and to help them to become more innovative, which a lot of people are fairly unwilling to do because innovation also tends to [bring] change in work practices and potentially even downsizing to make them more efficient," he says. "Encouraging participation is very important but, on the other hand, you've also got to be filtering and [directing] the innovation which is actually implemented. You've got to control and you have to facilitate at the same time and I think that's the paradox because, quite often, people have just one of those different mindsets." As an aside, Jackson noticed while doing the research that he could often gauge a firm's level of innovation when he visited its premises and carefully observed what was happening. Those firms with engaged staff and more attractive work environments tended to be more innovative than other firms, for instance. Jackson suspects that in part, this is due to the amount of money the firm has, which raises the question of whether innovation leads to success or success leads to innovation. "You can get yourself into a cycle so that you're making money, you invest in innovation, invest in nice work places, and/or that leads to greater success and greater ability to hire people that are smart and clever [and so on]. Or you can be going to a declining cycle – you don't have any money, you can't hire smart people, there's less innovation [and so on]," he says. The researchers also looked at how firms conducted innovation in a range of areas. The results are basically positive. "Australian mid-market firms are adept at using multiple types of innovation. As they grow beyond the core of their businesses, which typically is an innovative product or service, they expand into other areas including process innovation," they write. They authors see this as advantageous and cite other research by Larry Keeley in his book, Ten Types of Innovation​, which argues that the greater the number of different types of innovation, the greater the firm's advantage because this makes it difficult for competitors to copy their business practices, and therefore secures market position. Aside from product innovation, mid-market firms are moving into service innovation. Examples the researchers found include using cloud computing, where clients upload their data into the cloud so firms can give up-to-date advice to clients, and having any consumable products delivered regularly on a customer-designed schedule. The firms in the study appear adept at process innovation, which the authors describe as the implementation of a new or significantly improved production process, distribution method, or supporting activities. Examples include one firm which built machinery with a mould that could produce four rather than two units, or another basing advice on analysis of meta-data rather than opinions. And there's also organisational innovation, examples of which included building a distribution centre near the Australia Post hub in order to deliver products to customers quickly, and having people in different teams sit near each other to facilitate communication. The one area of innovation that came up least in the interviews with mid-market leaders was marketing innovation. "We were surprised by this finding because we thought mid-market firms experience intense competition from larger and smaller firms. Given the constraints mid-market firms face, we expected they would instead emphasise marketing innovation," the researchers write. "This could be an area that firms could expand into to increase their differing types of innovation which should lead to enhanced performance." And as for the economic constraints of not being a large company, Ben Walker, a co-author of the report and a postdoctoral research fellow in the school of management, says mid-market firms have strategies to overcome this. "They're more innovative in terms of finding ways to get things done that don't cost a lot of money. The larger firms, because they've got the big budgets, can afford to do big things, whereas the mid-market firms have to think through not only what innovations they want to do but what's going to be most cost-effective," he says. For example, one mid-market leader spoke about the "one-percenters". Instead of striving for big innovations such as a costly new software system, the leader aimed to deliver a series of small innovations which in total can deliver significant results. Walker says mid-market leaders also have to be innovative in the way they attract and retain talented staff when they are unable to match the salaries and career opportunities on offer from larger rivals. Page last updated: 16/03/2016 10:59 PM Disclaimer Some pages on this website are updated dynamically on a regular basis. This may not be reflected in the ‘Last updated’ date.